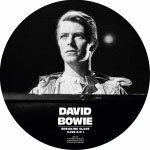 davidbowie.com have announced details of the next limited edition DAVID BOWIE 40th Anniversary picture disc 7 inch single. BREAKING GLASS (LIVE EP) (Cat. No. DBBG 40A) features FOUR previously unreleased tracks and is released on 16th November. Recorded live by Tony Visconti with The Manor Mobile. Mixed by David Bowie and David Richards at Mountain Studios, Montreux 17th-22nd January 1979. The photos used on the disc were shot by Masayoshi Sukita (A-side) and Andrew Kent (AA-side) taken during the 1978 world tour. You can pre-order Breaking Glass E.P. (40th Anniversary) NOW! 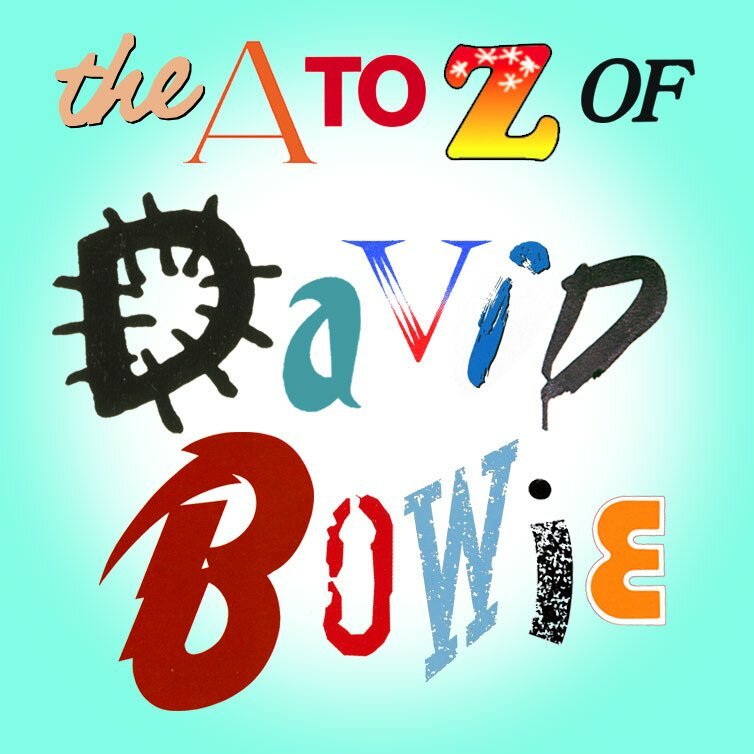 The thirty-fifth episode of THE A TO Z OF DAVID BOWIE podcast created by MARC RILEY, ROB HUGHES and sound assisted by HOWARD NOCK is now available online for your listening pleasure. This episode continues with the letter M and discusses the following subjects: The Marquee Club, Tony Mascia, Merry Christmas, Mr Lawrence, Mercury Records and Meltdown Festival. If you've got an hour to spare - listen to DAVID BOWIE's Aladdin Sane along with this guy having his very first listen to the 1973 album. His reactions are wonderful. Oh to be a teenager again! This is one of the main reasons why I set up BowieWonderworld over 21 years ago. Encouraging people, like this guy, to listen and experience David Bowie, and hopefully get the same feelings I and many others got over the years. Whoever you are, and wherever you are, David Bowie is timeless. He will inspire you, teach you, and enrich your life and imagination beyond your dreams! Thanks to CruelGarden on the BW MB for the pointer. 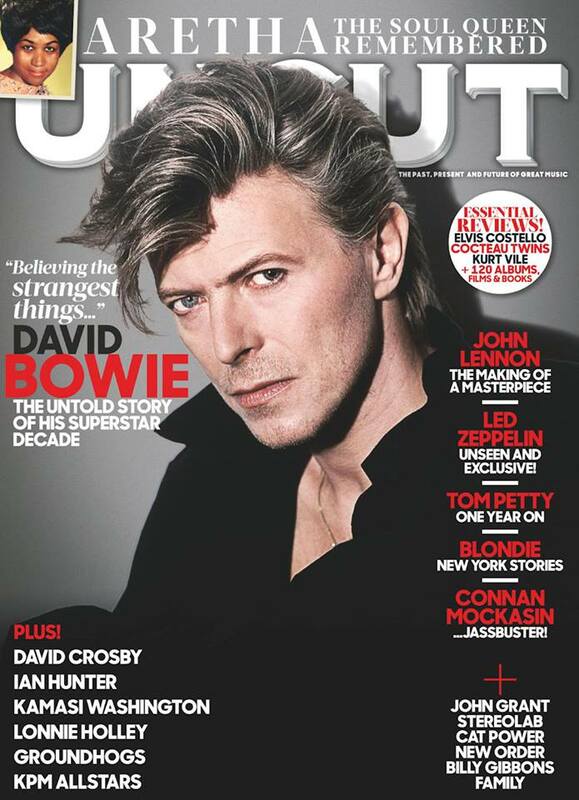 For the November issue of UNCUT magazine DAVID BOWIE graces their front cover and inside is an eleven-page feature, along with TWO free art prints including one exclusive, previously-unseen image. To REEVES GABRELS, the superstar years of his friend and collaborator David Bowie were a period of unlikely but essentially enlightening transformation. "He wasn't a pop star," he tells ROB HUGHES in this month's cover story. "He just happened to be able to make some pop records every now and then. That's how he kept the machine running. But he was an artist. The function of entertainment is to make you feel good, the function of art is to make you feel." Reeves is one of Bowie's many confidants and co-conspirators that Rob has spoken to as part of his fascinating deep trawl of Bowie's most contentious decade. There is further wisdom and insight from CARLOS ALOMAR, PETER FRAMPTON, NILE RODGERS and many more who argue that this period was fundamentally necessary in shaping the work that followed: as vital a part of Bowie's legacy, in its way, as his storied '70s. This issue goes on sale from tomorrow 20th September. For more details and information please visit the uncut.co.uk website. MARIO McNULTY producer of DAVID BOWIE's 'The Next Day' album, discusses producing 'Beat Of Your Drum' (2018). 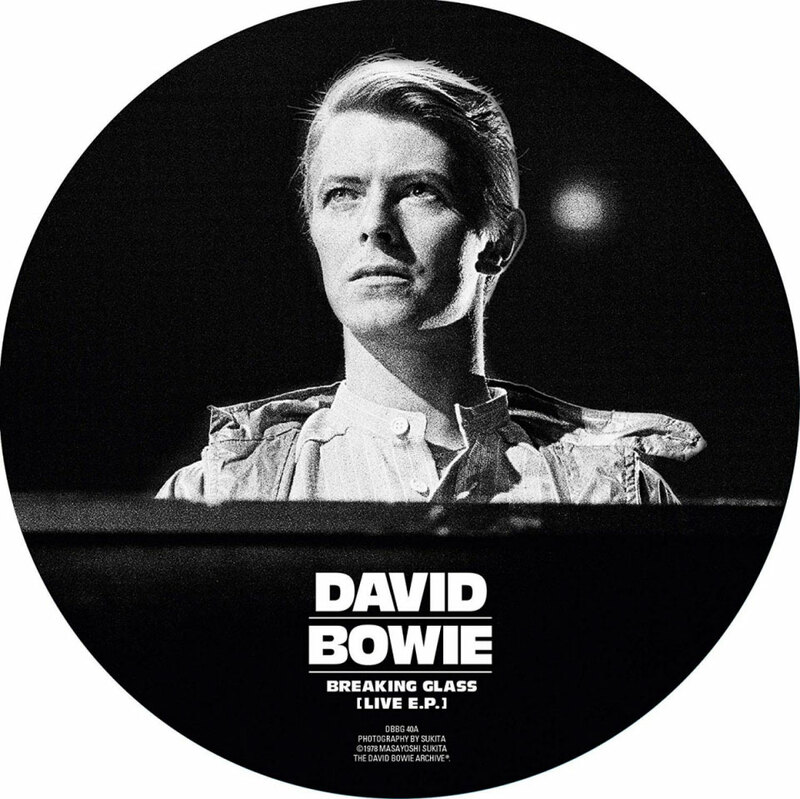 A reproduced and rerecorded 2018 version of the full 'Never Let Me Down' album features in the upcoming David Bowie: Loving The Alien (1983-1988) box set, and also features on the recently released double A-sided 7 inch picture disc single. The DAVID BOWIE LOVING THE ALIEN (1983 - 1988) box set is to be released next month 12th October - you can now pre-order the VINYL BOX SET and the CD BOX SET NOW! The thirty-fourth episode of THE A TO Z OF DAVID BOWIE podcast created by MARC RILEY, ROB HUGHES and sound assisted by HOWARD NOCK is now available online for your listening pleasure. This episode continues with the letter M and discusses the following subjects: The Manish Boys, Mr Fish, Mary Hopkin and Mainman. In the Official UK Vinyl Singles Chart DAVID BOWIE has hit the number #1 spot! 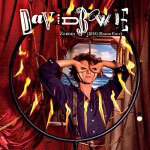 Zeroes entered the UK vinyl singles charts at #10 on its first week, and on this 2nd week has gone in at #1. Also featured in the same chart are: Baal #18, Let's Dance #22 (re-entry), "Heroes" #26 and Beauty And The Beast at #20. 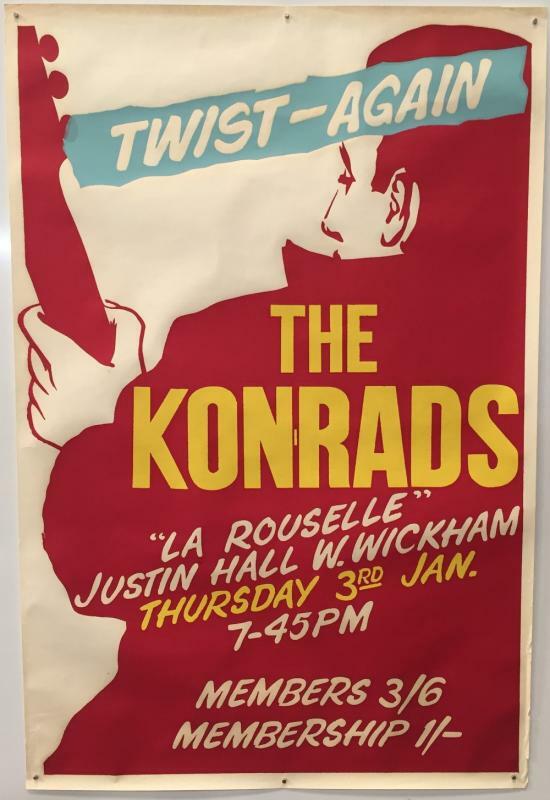 At today's OMEGA AUCTIONS Music Memorabila, Instruments and Equipment sale there was a plethora of DAVID BOWIE / THE KONRADS items up for auction. Check out OmegaAuctions website to see all the items and prices realised. The thirty-third episode of THE A TO Z OF DAVID BOWIE podcast created by MARC RILEY, ROB HUGHES and sound assisted by HOWARD NOCK is now available online for your listening pleasure. This episode covers the letter M and discusses: The Man Who Sold The World. 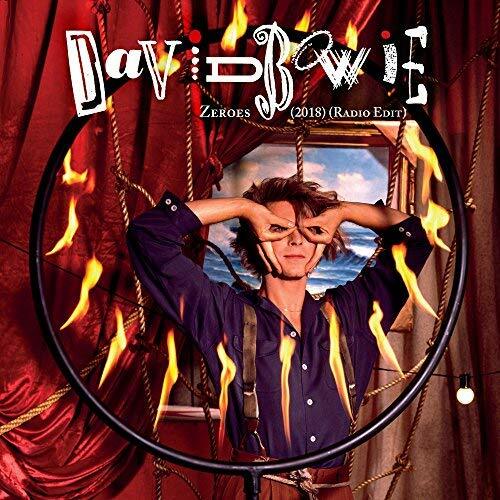 Provided to YOUTUBE by WARNER MUSIC GROUP is the brand new release BEAT OF YOUR DRUM (2018) (Radio Edit) by DAVID BOWIE. Released today as part of a limited edition vinyl double A-side 7 inch picture disc - which you can purchase NOW. If you've seen the DUNCAN JONES movie MUTE then I'm sure you'll be eager to listen to the full official soundtrack created by CLINT MANSELL. If you haven't got around to watching this fabulous movie on Netflix I thoroughly recommend it. Clint has uploaded the seventeen tracks over on the soundcloud.com website. Also check out some custom made CD covers over at HQCovers website. ZEROES (2018) VINYL OUT FRIDAY! 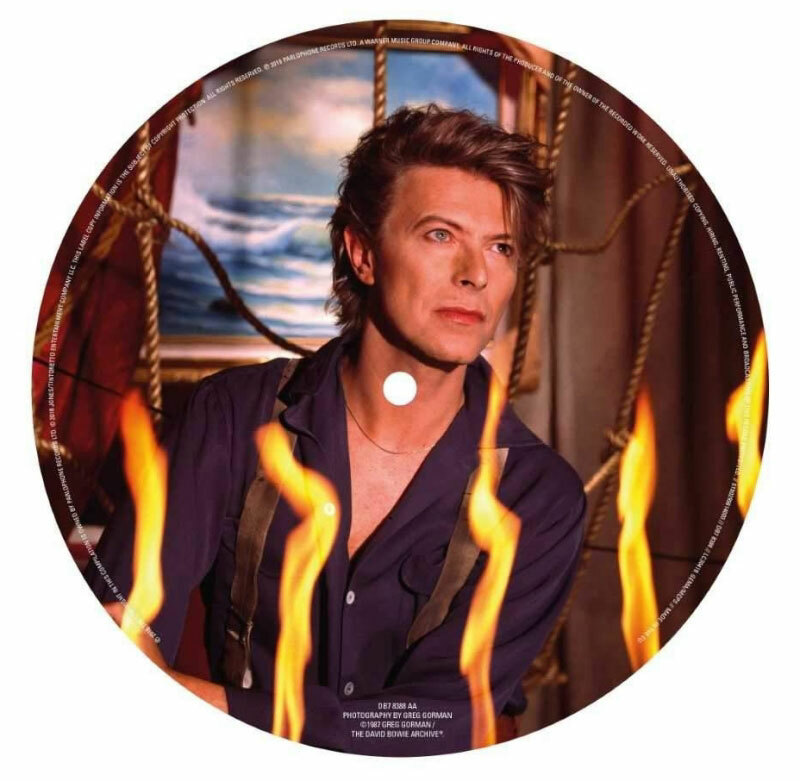 Reminder: released on this Friday is the DAVID BOWIE double A side limited edition Zeroes (2018) (Radio Edit) / Beat Of Your Drum (2018) (Radio Edit) 7" picture disc single. (Cat. No. DB7 8388). Both tracks are taken from the brand new 2018 version of the 'Never Let Me Down' album which is featured in the forthcoming Loving The Alien (1983 - 1988) Box Set. 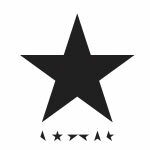 Never Let Me Down (2018) is a new production of Bowie's final 'solo' album of the '80s. Producer Mario McNulty worked on the tracks at Electric Lady Studios in New York with long-time Bowie musicians Sterling Campbell (drums), Reeves Gabrels (guitars), David Torn (guitars) and Tim Lefebvre on bass. 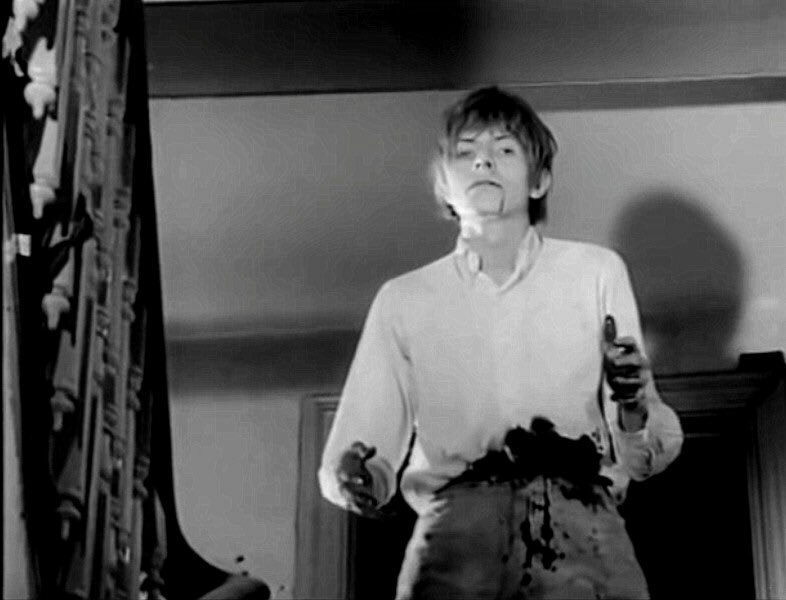 Produced by David Bowie, David Richards and Mario J McNulty. Mixed and Recorded by Mario J McNulty. 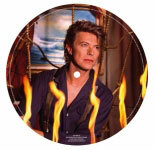 Both images featured on the picture disc were outtakes shot by Greg Gorman for the 'Never Let Me Down' album photo session. The thirty-second episode of THE A TO Z OF DAVID BOWIE podcast created by MARC RILEY, ROB HUGHES and sound assisted by HOWARD NOCK is now available online for your listening pleasure. This episode continues with the letter L and discusses the topics: Lulu, Live Aid, Pierre Laroche, Labyrinth and Lazarus. 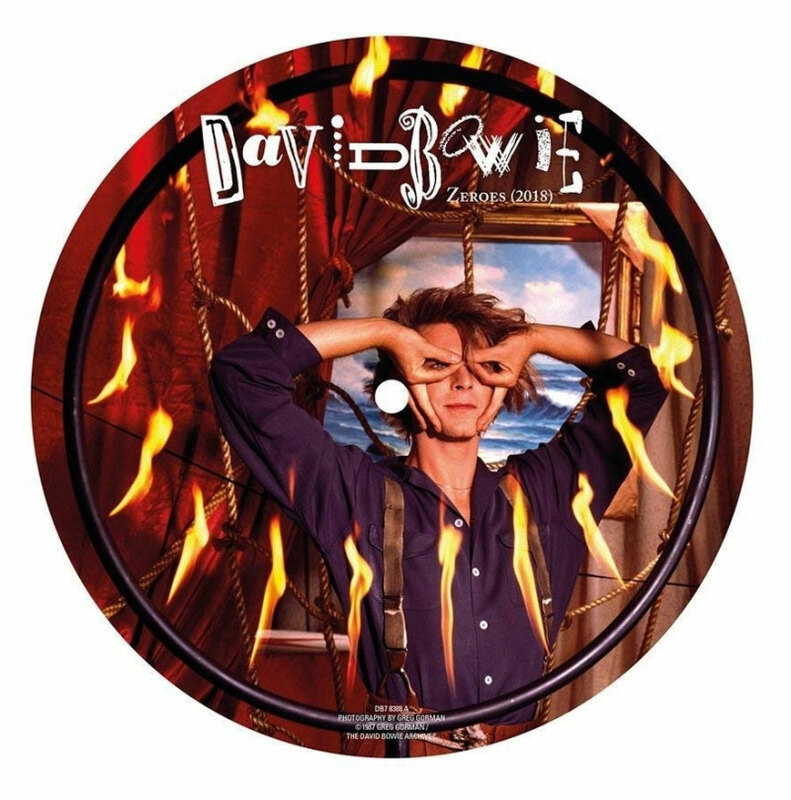 All set for release next week on 7th September is the DAVID BOWIE double A side limited edition Zeroes (2018) (Radio Edit) / Beat Of Your Drum (2018) (Radio Edit) 7" picture disc single. (Cat. No. DB7 8388). 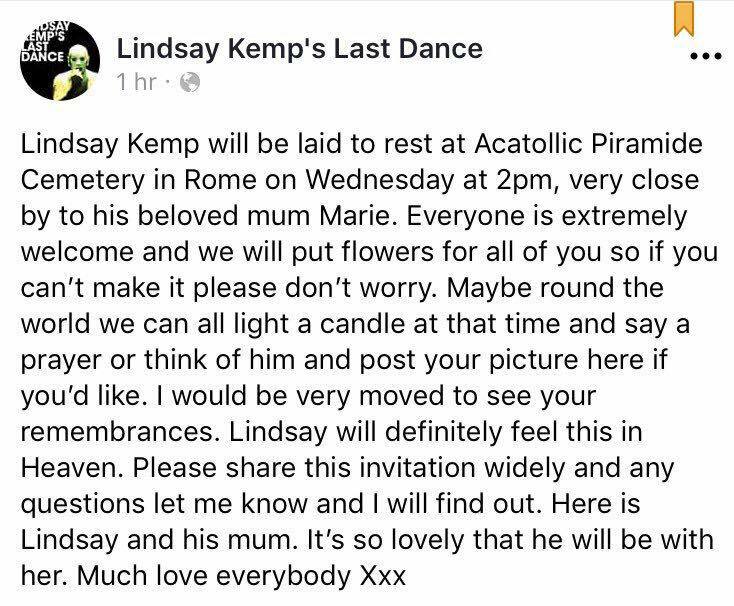 LINDSAY KEMP will be laid to rest at Acattolico Piramide Cemetery in Rome, Italy this Wednesday 5th September at 2.00pm, very close by to his beloved mum Marie. 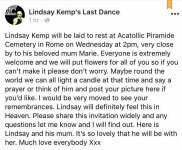 Address: Acattolico Piramide Cemetery, Via Caio Cestio, 6, 00153 Roma RM, Italy. Everyone is extremely welcome and we will place flowers for all of you, so if you can't make it please don't worry. Maybe around the world we can all light a candle at that time and say a prayer, or think of him. Please share this invitation widely. The internatonal trailer for the new documentary by German filmmaker HERMANN VASKE entitled 'Why Are We Creative?' is now available ahead of its world premiere in Venice Days. 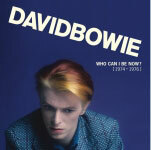 The resulting documentary features some 50 candid interviews with DAVID BOWIE, Quentin Tarantino, Ai Weiwei, Bjork, Wim Wenders, Philippe Stark, Yoko Ono, John Hegarty, David Lynch, Yohji Yamamoto, Damien Hirst, Angelina Jolie, Nobuyoshi Araki, Tarantino, Bono, Nick Cave, Neo Rauch, Stephen Hawkins, the Dalai Lama, Peter Ustinov, Marina Abramovic, Diane Kruger, Julian Schnabel, Jimmy Page, Vivienne Westwood, Takeshi Kitano and many others. Celluloid Dreams is handling international sales. Vaske's company Emotional Network Production produced the documentary with the support of Hessenfilm und Medien, Deutscher Filmforderfonds DFFF and ZDF 3Sat. Rise and Shine has taken German distribution rights to the film. This month MISTY MOON presents an evening with MICHAEL ARMSTRONG on Sunday 16th September at 20:00. 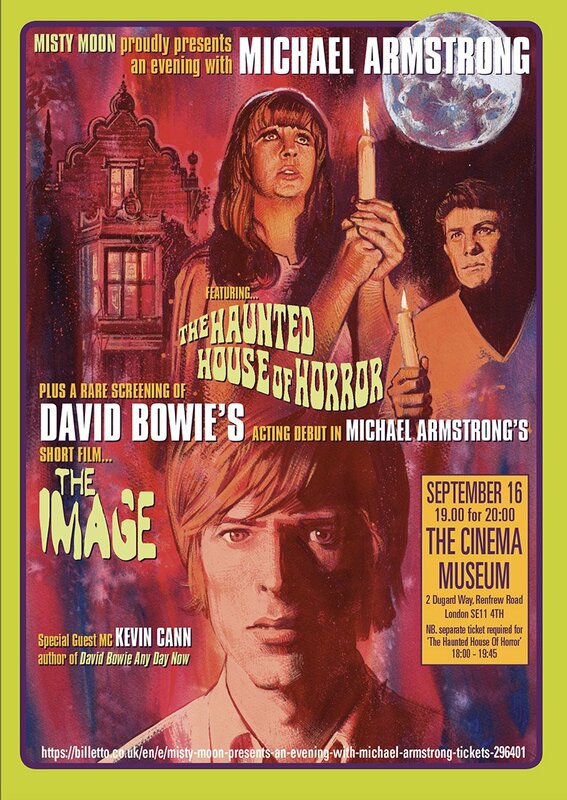 Come and spend an evening in the company of the writer and director Michael Armstrong, including a special screening of THE IMAGE (1969), the short film he made with DAVID BOWIE. Michael will be joined on stage by Misty Moon's special guest MC KEVIN CANN who is a personal friend of Michael. During the Q&A there will be a special screening of The Image. Venue: The Cinema Museum, 2 Dugard Way (off Renfrew Road), London SE11 4TH. Doors open at 19.00, for a 20.00 start. For more details and booking information, please visit the cinemamuseum.org.uk website. Update: For those attending this event, this fabulous artwork created by the master of cinema poster design, the very talented GRAHAM HUMPHREYS will be available. A limited amount of signed copies will be available to purchase on the night from the artist himself. 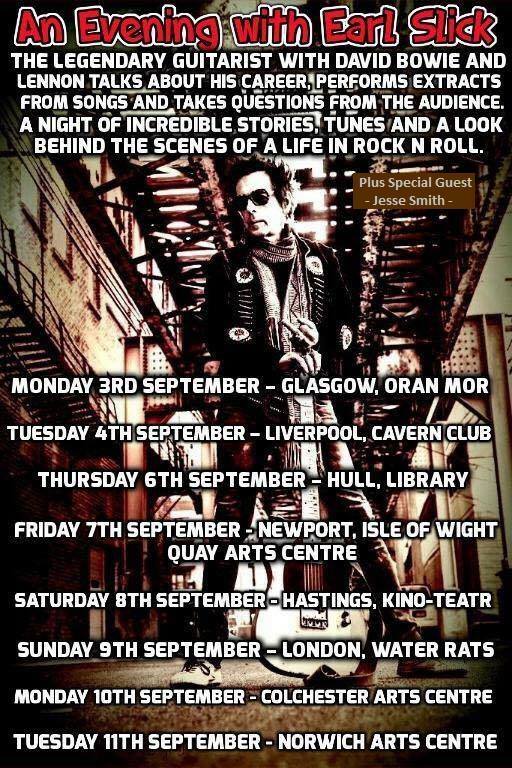 This month legendary American guitarist EARL SLICK - best known for his seminal work with DAVID BOWIE and John Lennon - talks about his career, performs extracts from songs and takes questions from the audience. A night of incredible stories, tunes and a look behind the scenes of a life in rock 'n' roll. The talk/performance will be followed by an audience Q&A and then photo opportunity and autographs. Earl Slick was initially hired by David Bowie to replace Mick Ronson as lead guitarist for The Year of the Diamond Dogs tour in 1974 (the live album David Live was recorded during this tour). Slick also played lead guitar on Bowie's Young Americans and Station To Station albums, released in 1975 and 1976 respectively. Slick went on to work with former Mott The Hoople frontman Ian Hunter and then with John Lennon, and Yoko Ono. He performed on Lennon and Ono's Double Fantasy album. During the sessions for Double Fantasy, the material for 1984's Milk and Honey was recorded as well. He also joined Ono in the studio for her solo album, Season of Glass. Slick and Lennon were good friends at the time of Lennon's death in 1980. Earl Slick returned to working with David Bowie on several occasions including the 1983 Serious Moonlight Tour, Heathen promotional tour, the Reality album and world tour in 2003/2004, and finally on Bowie's 2013 comeback album 'The Next Day'. Slick conceived and presented the 2017 BBC documentary 'Rock N Roll Guns for Hire: The Story of the Sideman'. Dates for A BOWIE CELEBRATION: The David Bowie Alumni Tour have now been announced. Join key alumni musicians of DAVID BOWIE's bands from across the decades, anchored by his longest standing member MIKE GARSON along with other amazing Bowie band alumni including EARL SLICK, GERRY LEONARD, CARMINE ROJAS and MARK PLATI. They are heading back on the road featuring an unforgettable and critically acclaimed evening of Bowie songs with world-class vocalists and an ever rotating mix of hits and deep cuts. This month sees five dates in the USA, followed by UK and European gigs next year in January and February. Visit abowiecelebration.com website for more details and information. Brand new release ZEROES (2018) (Radio Edit) / BEAT OF YOUR DRUM (2018) (Radio Edit) 7" picture disc single (cat. no. DB7 8388) released 7th September - you can purchase NOW! The DAVID BOWIE LOVING THE ALIEN (1983 - 1988) box set to be released 12th October - you can now pre-order the VINYL BOX SET and the CD BOX SET NOW! Hardback edition of RICOCHET: DAVID BOWIE 1983 by DENIS O'REGAN scheduled for publication on 1st November - NOW reduced to £21 - you can pre-order NOW! Exclusive to Japan is DAVID BOWIE WELCOME TO THE BLACKOUT (LIVE LONDON '78) in SHM-CD format - you can purchase NOW. The 2018 softback edition of DAVID BOWIE WORLD 7" RECORDS DISCOGRAPHY 1964 - 1981 book by MARSHALL JARMAN and RETO STÖCKLIN is NOW in stock and available to purchase via the marmot-publishing.com website.